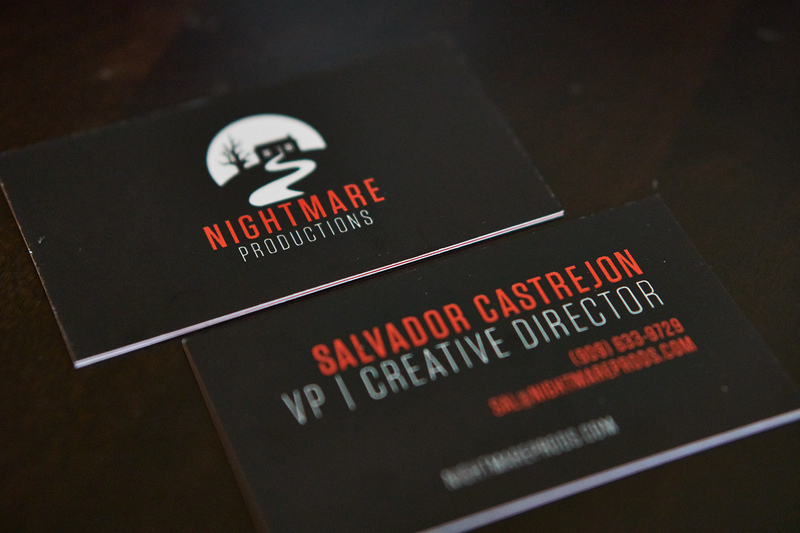 A rebrand for a horror production company I co-owned. Previous logo was an illustration of a face and we wanted to rebrand ourselves as a more reputable company. At the time we were getting into selling apparel, writing short films, and pitching our services to bigger clients. We wanted our logo to project a sense of professionalism while still maintaining the horror element. 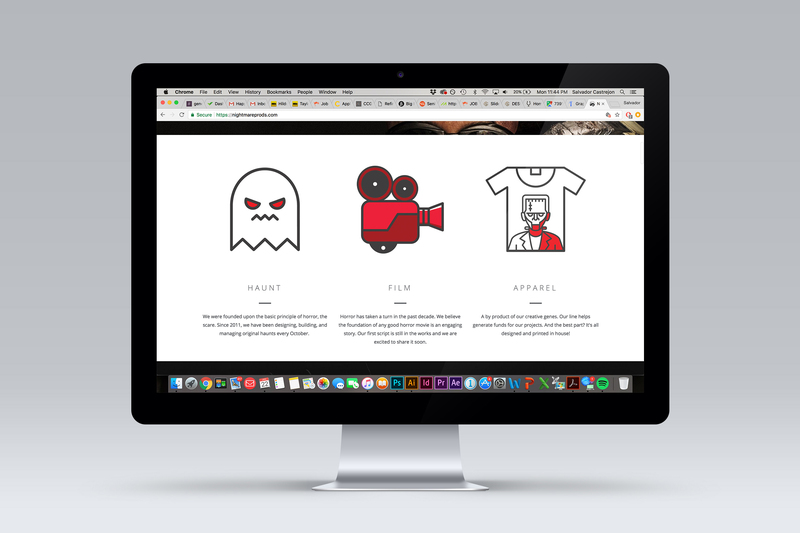 Including the rebrand I also revamped our website. The photo above showcases the cleanliness of the site and the icons I created on the homepage.